Chair: Ricardo J. Rodríguez De Santiago, Assoc. AIA, LEED-AP BD+C, serves as an experienced project manager and senior project designer with a wide range of international project experience, from sensitive government workplaces, building re-positionings, mixed-use multi-family, large hospitality venues and interior architecture. 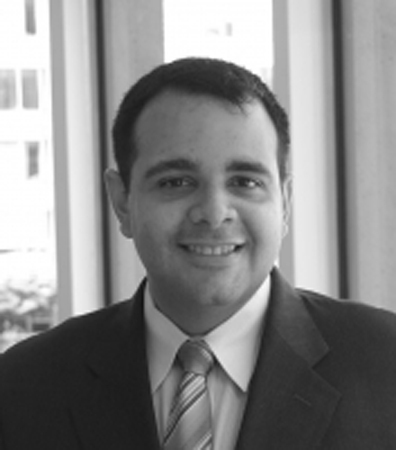 Ricardo is a scholar of the inaugural class of AIA|DC’s Christopher Kelley Leadership Development Program. He was also lately appointed to be the program’s 2016 Vice-Chair and concurrently serves as Past-Chair of AIA|DC’s Emerging Architect’s Committee. In 2014 he was awarded with the AIA|DC Emerging Architect of the year award. In addition, Mr. McEnroe has received a number of design awards, including an AIA|DC Un-built Honor Award for the University of Virginia Center for Innovation, and a VS-ASLA and Potomac ASLA Honor Award for the South Carlyle Master Plan. Past-Chair: Aimee Woodall, AIA, LEED AP, is a licensed architect, and a LEED® accredited professional. She is a member of the AIA, the USGBC, and the Association for Preservation Technology. Aimee is also an active member in the AIA’s HABS Coordinating Committee, and is proud to have been part of the inaugural class of the DC chapter’s Christopher Kelley Leadership Development Program, for which she continues to serve on the executive committee. Originally from Richardson, Texas, Aimee holds a Bachelors of Environmental Design, a Masters of Architecture, and a Certificate in Historic Preservation from Texas A&M University. She joined RTKL Associates in 2000, and after 16 years has recently left the firm as an Associate Vice President. Aimee has comprehensive practical experience in historic preservation, renovation, and modernization projects in Washington, DC. Some of the notable local projects she has been involved in include the Sidney Yates Building Renovation, the Modernization of the Herbert C. Hoover Building for the Department of Commerce, the U.S. Capitol Visitor’s Center, and the Preble Hall Naval History Museum at the U.S. Naval Academy. Emerging Architects Committee Liaison: Leah Ijjas has a passion for people, for design, and for education. Recently licensed, Leah is a practicing Architect at Gensler focusing on placemaking strategies and the design of public, social spaces as defined by architecture. A recent alum of the 2015-2016 CKLDP class, Leah is currently serving as vice-chair to the ADA|DC emerging architects committee, and will act as Chair in the upcoming 2017 year. Raised in Florida, Leah earned her Bachelor of Design from University of Florida followed by a Masters in Architecture from the University of Maryland, where she simultaneously acted as Project Architect for the 2011 International award-winning Solar Decathlon project – WaterShed. It was through this highly collaborative experience that she developed a strong affinity for public education and complex problem solving through the power of design. Since, Leah has been published in a number of literary journals including Fine Home Building Magazine, presented at the 2012 AIAS Grassroots Leadership Conference, and been the recipient of an AIA Unbuilt Award. Leah believes that communication, knowledge sharing, and honest collaboration are the key ingredients to a successful project, and is lucky to have connected with so many talented teammates along the way! Communications Advisor: Bradon Tobias, AIA, LEED AP BD+C is an Architect for the United States Army Corps of Engineers (USACE), Headquarters. He serves as the USACE national Program Manager for Design Quality Management, BIM Initiatives and Implementation, and Engineering & Construction Employee Development. In working with USACE District and Division offices across the nation, Mr. Tobias focuses on the strategic utilization of new technologies and the expansion of employee technical competency for future project execution. Mr. Tobias spent the first 10 years of his career working for the USACE Kansas City District. During this time, he volunteered for two year-long deployments as a civilian to Kabul, Afghanistan, in support of Operation Enduring Freedom. He also spent one year with the Philadelphia Region of the General Services Administration (GSA) performing project management and construction administration duties before joining USACE HQ in 2015. Graduating with a Bachelor of Architecture degree from the University of Kansas in 2005, Mr. Tobias was also awarded the Alpha Rho Chi Award for Leadership. He a member of the American Institute of Architects, as well as the Society of American Military Engineers (SAME) where he serves as the Army Liaison for the Architectural Practice Committee. He graduated from the 2016 CKLDP Class. Graphic Advisor: Kate Renner, AIA, EDAC, LEAN-SIX SIGMA CE, LEED AP BD+C, an architect, medical planner and researcher at HKS, specializes in healthcare with experience working with several of the top healthcare systems in the United States and abroad. She has worked to develop solutions to the many complex challenges encountered in the healthcare environment and create a healing space for patients, staff and the community. 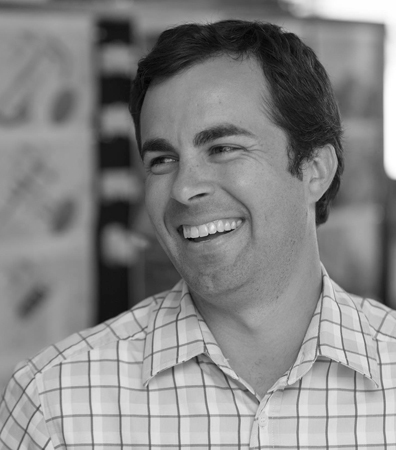 Website Advisor: Eric Teran, RA, NCARB, LEED AP BD+C, graduated from the University of California State Polytechnic University, Pomona in 2001 with a Bachelor in Architecture. Shortly thereafter he traveled the world visiting over 60 countries in 18 months where he helped various local communities with projects involving architecture and construction. After 10 years of working at small firms in California and Madrid, Spain designing multi-million dollar homes Eric relocated to Washington DC to work for Shalom Baranes Asoociates (SBA) where he has been the last 5 years. Throughout his time at SBA he has worked on hotels, offices and mixed-use buildings. A recent scholar in the 2016 Christopher Kelley Leadership Development Program Eric believes that their needs to be more emphasis on affordable and accessible design. From 2006-2008 he designed and built his own home in California using sustainable principals. Once again in 2015 he began a new challenge of trying to design/build an affordable energy efficient home on a vacant lot in Alexandria, Virginia. By designing a home that may be built using prefabricated and modular methods the overall construction cost should be around $120 SF. Truly making this affordable. 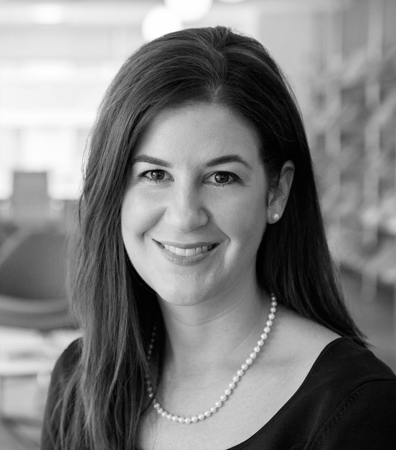 Sponsorship Advisor: Lindsey Falasca, RA, NCARB, LEED AP BD+C, is currently a Project Architect at Hickok Cole Architects where she has worked for the past 4 years. She attended The Catholic University of America where she earned a Master of Architecture and a Master of Science in Sustainable Design. Prior to attending graduate school, Lindsey worked at architecture and interior design firm WDG Architecture. Lindsey is actively involved in Hickok Cole Architects’ Sustainable Design Committee and was an integral member of the firm’s submission to the DC Affordable Living Design Competition, which placed third out of thirty submissions nationally. She created a series of sustainable design related seminars covering topics ranging from water conservation and treatment issues; urban planning and sustainable development; green construction practices; and the state of solar energy in the greater DC area. She is a part of the firm’s Multi-Family Housing Department and has worked on several low-rise and mid-rise mixed use multi-family residential projects throughout her time with Hickok Cole Architects.